Good morning, everyone! 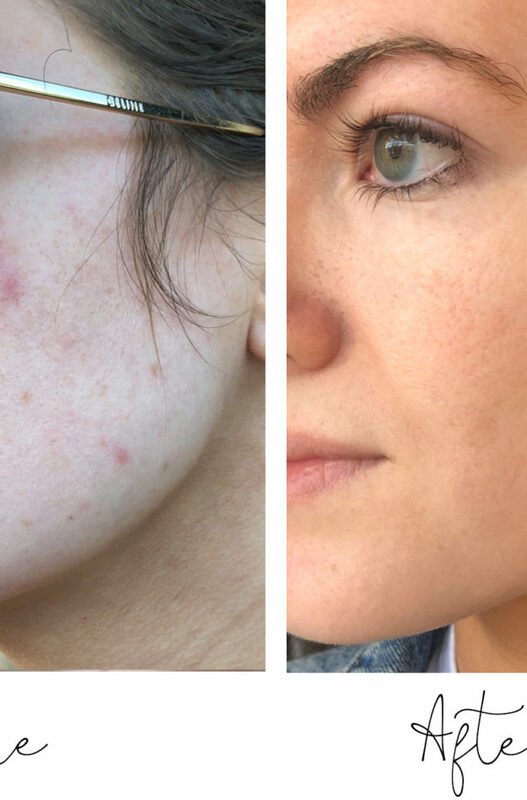 One of my toughest skin situations in the winter is dry, itchy skin and I feel like many of you can relate! Our Winter in North Carolina has been particularly harsh, and with the heat on full blast, it is making my skin drier than ever. I did some research on caring for dry skin during the Winter, and you might be surprised at what I found! I’ve been implementing these over the past couple of weeks to make sure that they work and my skin has gotten SO much better! Using the right face wash and moisturizer can make a HUGE difference in the Winter months! I’m sure you’ve probably heard of shea butter before, but do you actually know what it is? It’s a skin superfood that comes from the seeds of the fruit of the Shea tree and is naturally rich in vitamins A, E and F. The concentration of natural vitamins and fatty acids makes it incredibly nourishing and moisturizing for the skin. It also has been proven to reduce inflammation and stimulate the skin’s natural collagen production, even reducing wrinkles! That’s why this L’Occitane Shea 3-in-1 Cleansing Water and L’Occitane Shea Butter cleansing oil is the perfect due for Wintertime skin woes. If you’ve been reading my blog for a while you probably know by now that I LOVE oils for cleaning your face, and the addition of shea butter truly makes these products incredible. I apply the cleaning water first (with a cotton pad) and then use the cleaning oil to get a deeper clean. I follow both up with L’Occitane’s hea Butter Light Comforting Cream (it’s also available in “Ultra Rich Comforting Cream“) for my moisturizer. P.S. I just love the name of it – COMFORTING cream! – and it truly is comforting and smells really nice! One or two times a week, I gently exfoliate my skin (using a scrub and washcloth) after washing my face but before applying moisturizer. 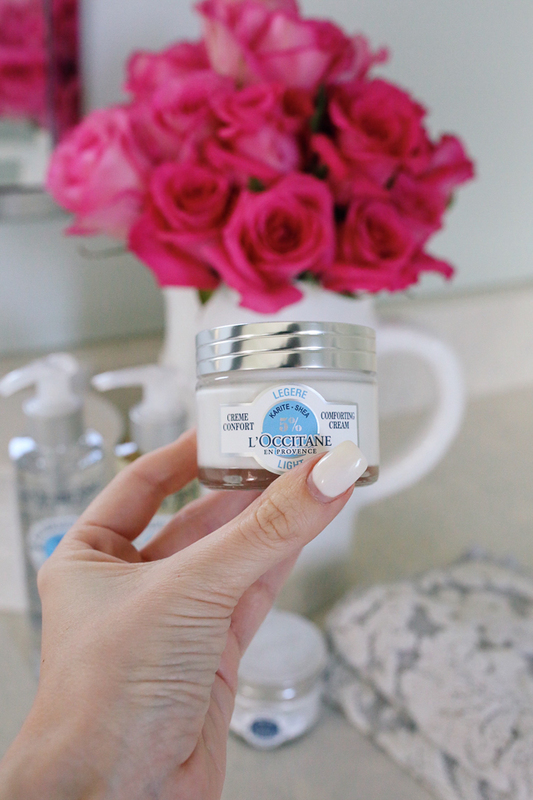 This helps slough off dead skin cells so that your skin can TRULY take in all of the benefits from your moisturizer. This works for your body as well! A proven dry skin treatment is using oats in the bath. I’ve heard about it for years but never actually tried it out until this week! Oatmeals contains a chemical called avenanthramides that can actually fight redness and inflammation (both symptoms of dry itchy skin). The directions are simple: throw a cup of old fashioned (or quick oats) in the blender and blend until it turns into a fine powder. Run your bath water and slowly sprinkle the oats in the water (just make sure your bath water isn’t too warm – more about that later!). 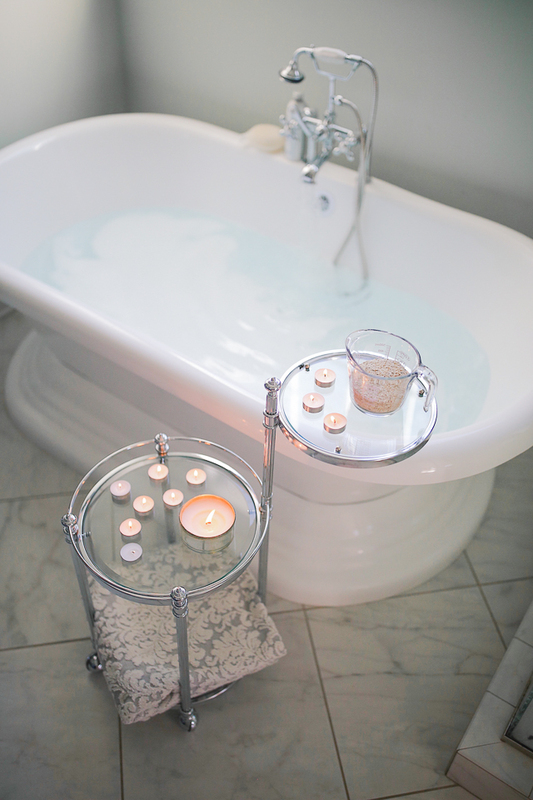 Soak in the oatmeal bath for at least 15 minutes to get the full benefit! This is a big one that’s easy to miss! Although I looooove taking hot showers and baths, this can actually make dry skin way worse in the winter. Taking shorter showers is also beneficial! 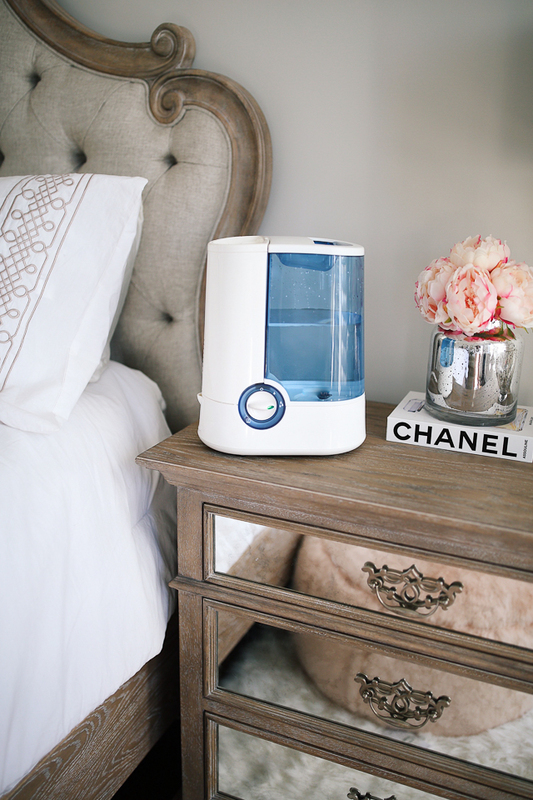 Putting a humidifier beside your bed is also a great way to create a better environment for your skin in the winter. A humidifier works by putting moisture into the air. Not only does it benefit your skin, but it also soothes dry air passages and makes it easier to breath! Adding humidity to the air is generally good for sinus health, and with the cold and flu season in full swing it makes even more sense! A diet rich in flax seed oil has been recommended since they are rich in essential fatty acids which is beneficial to your health overall! Let me know if you guys have more ideas for dry skin! And Happy Friday!! Yes, please share where the pajamas are from! Great post, thanks for the tips. Love this! We've been discussing a humidifier. Need to get on that, because they're super helpful in the dry winter cold. Where are your pajamas from!?!? I also recommend a great lip sleeping mask to keep your lips hydrated. I use one from Laneige every night (available at Sephora). My hubby loves this brand but I have ever tired it. Thanks for the tips! I would love to pick up those pajamas for my daughter. Do you have them linked somewhere? Thanks!! Where are your adorable pajamas from?! I need your pajama set! LOVE! Where is it from? Thank you! Okay but where are the pajamas from because they're adorable. Let's be honest! I so need to get a humidifier. Hi! What color polish are you wearing in this post?? Love it! 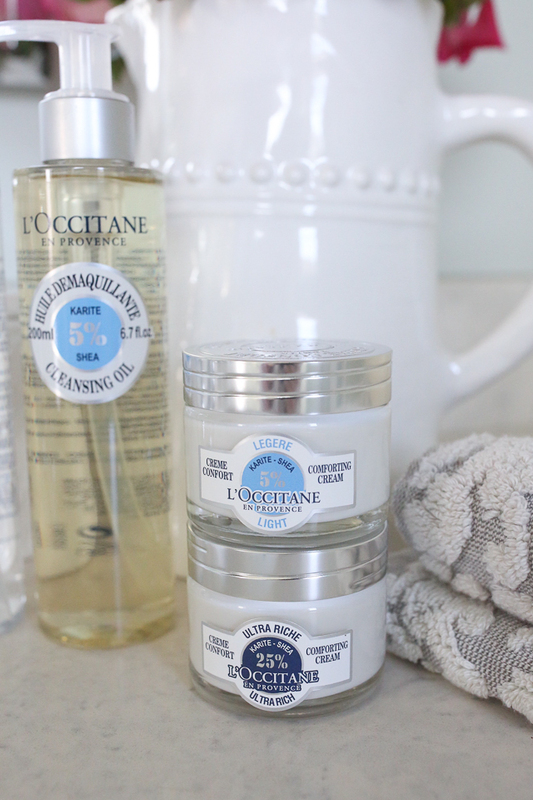 Love l'occitane! Can you let us know where the table next to your bath is from? thank you! I love bodyoils for dry skin. 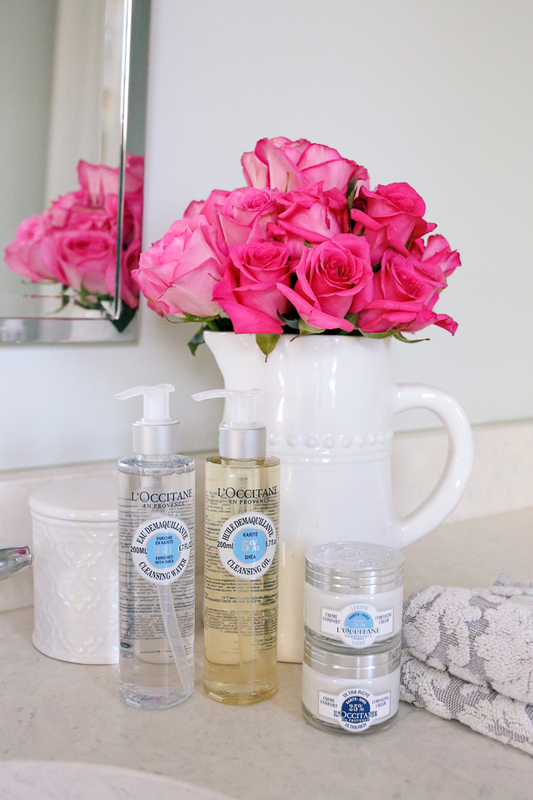 The L'Occitane products look great! And how cute are your pajamas?? My skin is so dry right now! I love these tips! Such a wonderful post, Caitlin. I love using a humidifier. It does wonders for sleeping, breathing and keeping the moisture in your skin! Hi Caitlin , love your blog. At 53 I’m probably your oldest blog subscriber ! I just treated myself to the T3 twirl curling wand set you love and use. What heat protector do you swear by with it to protect your hair ? My hairdresser has warned me not to use it to often to protect my hair. So I’ve on,y used it once so far, as I want to make sure I have the appropriate heat protector to use with it. I've heard a lot about L'Occitane. I really want to try their products. I knew oatmeal baths were good for eczema and rashes but not for dry skin! That's amazing. I will definitely have to try that this week. I love hot showers sooo much that it's almost dangerous but it's something I should try out. Such a great post!